Last week I headed up to Baltimore for my second Expo East (read last year's recap and best/worst products for details). For those not in the food or health world, Expo East is a massive show of natural products. From house cleaners to beauty products, food to what I can only describe as terrible, misleading supplements, there's something for everyone. But all in all, Expos like these are one of the fun parts of what I do as a dietitian. I get to see major trends that trickle down to the many food companies within the year. And I get the scoop on what many clients will be asking me about before they start asking! I also ran into Clara, a blogger I've been following for what feels like forever. She's so sweet and easy to talk to in person! The major trends I saw this year were a continuation of the gluten free market, seaweed, popcorn and non-chips. By non-chips I mean kale, cassava, and bean based chips. The Wall Street Journal ran an excellent piece on these 'permissible indulgences'. As for favorite products? There were some impressive items and brands that I really love. I don't love everything. There were some companies I flat out walked away from and avoided making eye contact with their reps. I don't share things I haven't tested and don't believe in. So everything below, I'm excited to share with you! Sibu Beauty: Sibu beauty is a company that believes in using nature and nutrition inside and out for great skin. So honestly, it's no wonder I was drawn to them like a dietitian to a big bowl of greens. 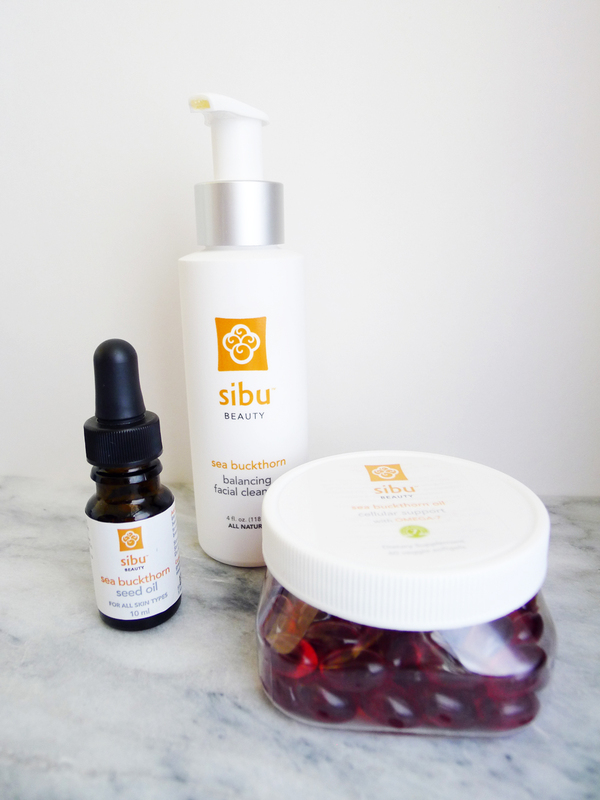 Sibu uses sea buckthorn berry which is known as the 'beauty berry' over seas! The big key to this little berry is packed with vitamin C, other antioxidants and omega 7's. The facial cleanser has a citrus scent and a little bit of exfoliation. The face oil (this is going to be a huge beauty trend) is especially great for eczema and other skin difficulties. They're vegan friendly, GMO free, sustainable....and awesome. I've been using their products for a few days and I can already tell my skin is more even and glowing. I have really good skin naturally (not bragging, it's just true), but I've even seen an improvement. I'm interested to see more. NutraSea Omega 3's: So omega 3's are awesome for you. Most of us don't get enough of them. The problem? Most supplements give you fish burps, taste weird or are poor quality. Nutrasea is a Canadian company just starting to enter the US. They third party test all of their products so you are 100% sure you're getting what the bottle says....something not all US supplements do because the FDA doesn't regulate supplements. I'm using the mango flavor and loving it! No fish burps, totally easy to take. And honestly I think I could put it in my salad dressing and rock it. They have impressive flavors besides mango including a lovable lemon. Veggie Go's: I'm a fan of chewy snacks and have made fruit leather before. This brand pairs fruits with veggies and nothing else. No added sugar or colors. Their flavors are very interesting and include sweet potato apple and ginger carrot. Beanitos: Holy cow guys. These bean based chips are seriously good if you're looking for something little salty, savory and crunchy. Grab the black bean flavor and pair with jicama sticks and avocado. They're a good source of protein and fiber for a snack, but they are higher on the fat side because of the beans. Just don't fool yourself that they're 'healthy'. They're a snack in moderation! 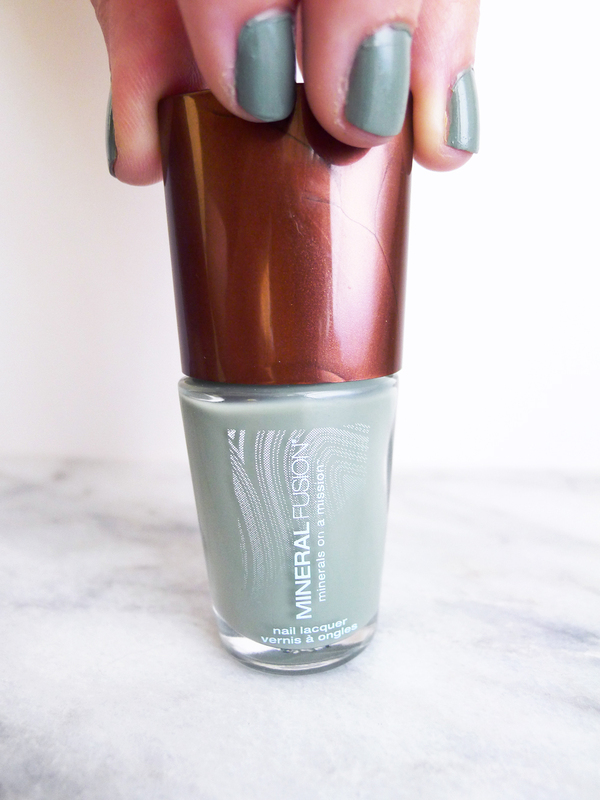 Mineral Fusion Nail Polish: I always have my nails painted. I do! This nail polish totally lived up to what I hoped. The colors are vast and current. In this photo I'm wearing 'river rock'. The formula is thick but not goopy, meaning you can totally get away with a single coat. It's formaldehyde, toluene, camphor and dibutyl phthalate free. I can't wait to try more colors! 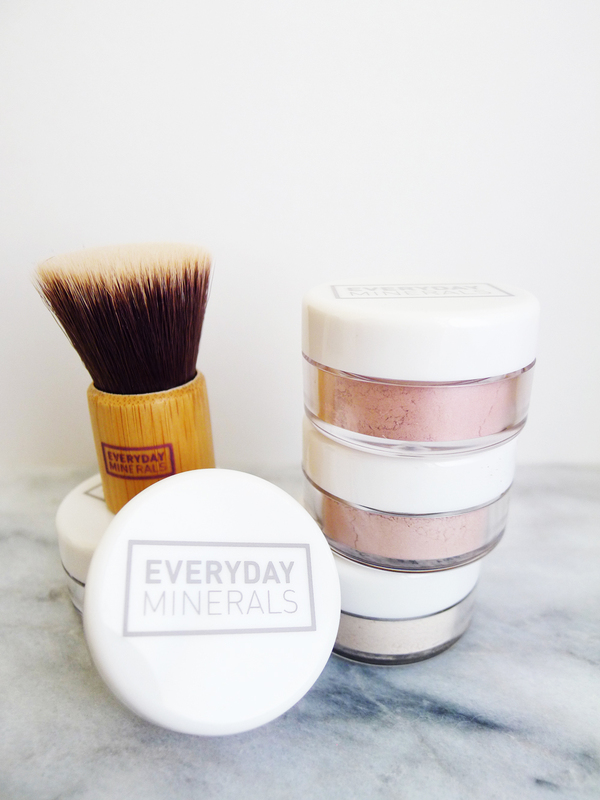 Everyday Minerals Make Up: I'm lucky that I don't need a lot of foundation. Concealer is a different story (thanks dark circles). But I like an even finish minus the shine. I've always wanted to move towards a 'better for you' make up routine...but wasn't willing to pay a ton to test something I would hate. Everyday Minerals has proved me wrong. It's light, breathable and even. I love the base! Monterey Farms Artichokes: Artichoke hearts are delicious but a pain to do from scratch. If you buy them in the store, they're usually packed in a ton of oil. No thanks. Monteray farms grills and vacuum packs them. They are mouth wateringly good. Olbas Sugar Free Cough Drops: I've had a cough that won't freaking quit. Most cough drops have a bunch of wierd junk in them. Flavorants, dyes, and worst of all for me, sugar alcohols. I actually ended up surviving off of a press pack of these babies from last year! I'm hooked on these. They are dye free, and honestly sugar/sugar alcohol free. You go Olbas. Teeccino: Coffee is my life. I really love it. I love the taste, the ritual and the smell. Teeccino sent be product a while ago and I was skeptical. LIke I really love coffee! Why was I going to change? But one night it was late and I wanted a cozy beverage...and tried the caffeine free herbal coffee in hazelnut with foamed milk. Okay, again I was wrong. The brand reps at the booth loved that they had a convert in their midst. It's seriously good stuff. Pong Cell Phone Cases: Pong is a cell phone case that is finally concerned about our cell obsession and frequent usage. I live by my iPhone. I NEED it for business. But did you know the WHO classifies cellphone radiation as a possible carcinogen? Um and Apple even tells consumers to keep phones about an inch away from their bodies at all time because any closer and it exceeds FCC exposure guidelines. WTF! Pong increases your cell reception while directing the excess energy away from the body and head. The case is perfectly fitted to the phone. It's not chunky or too tall around the edges. They come in nice solid colors (I have egg plant slash JMU purple on mine!) and aren't cheap looking or plasticy. Would you try any of these products? Have you seen them before?